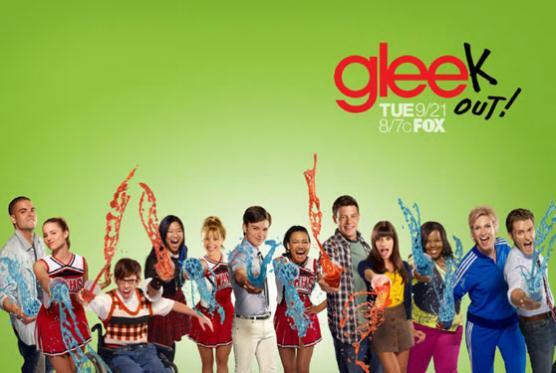 Entering its sophomore season, GLEE is a biting musical comedy that has quickly become a pop-culture phenomenon. The highest-rated new scripted series of the season boasts critical acclaim, a loyal fan base of “GLEEks,” two certified Gold albums, more than 10 million song downloads and an incredible 19 Emmy nominations – earning it the distinction of being the most-nominated series of the year. To top it off, the genre-defying, award-winning series has been picked up through its third season. After GLEE was recognized by the Academy of Television Arts and Sciences with nominations in all major categories, the show took home four awards, including one for Ryan Murphy for Outstanding Directing for a Comedy Series and one for Jane Lynch for as Outstanding Supporting Actress in a Comedy Series. In its freshman year, GLEE was also honored with a Peabody Award; a Golden Globe for Best Television Series, Comedy or Musical; a Screen Actors Guild Award for Outstanding Performance by an Ensemble in a Comedy Series; and a People’s Choice Award for Favorite New TV Comedy. The cast has performed for the President and First Lady at the White House, appeared on “The Oprah Winfrey Show,” sang the national anthem at the World Series and graced the covers of Entertainment Weekly and Rolling Stone. GLEE follows a group of eager and ambitious students as they strive to outshine their singing competition while navigating the cruel halls of McKinley High. Although New Directions lost at Regionals, they now have their sights set on making it to Nationals and defeating their arch rivals, Vocal Adrenaline. The glee club’s fearless leader is WILL SCHUESTER (Matthew Morrison), a talented young teacher with hip-hop skills and a heart gold. New Directions’ aspiring stars include RACHEL (Lea Michele), a pitch-perfect singer with an unfaltering determination to be popular; FINN (Cory Monteith), the heartbreakingly cool quarterback who struggles with his personal life; KURT (Chris Colfer), the baby-faced soprano with a fierce eye for fashion; MERCEDES (Amber Riley), a powerhouse vocalist whose diva attitude rivals the greats; ARTIE (Kevin McHale), a physically disabled performer with killer vocals and a dream to dance; and TINA (Jenna Ushkowitz), a goth chick with a soft side. There’s also arrogant and cocky crooner PUCK (Mark Salling); ice-cold queen-bee-turned-teen-mom QUINN (Dianna Agron); and the dynamic dimwitted cheerleading duo of BRITTANY (Heather Morris) and SANTANA (Naya Rivera). With his heart in the right place, Will is determined to help the kids take Nationals, but at every turn he must battle with his nemesis, SUE SYLVESTER (Jane Lynch), the conniving cheerleading coach; and his evil ex-wife, TERRI (Jessalyn Gilsig). Mr. Schuester’s only allies at McKinley are OCD-afflicted guidance counselor EMMA PILLSBURY (Jayma Mays) and supportive parents like Kurt’s dad, BURT HUMMEL (Mike O’Malley). In addition to the regular cast, GLEE has featured guest appearances by a wide range of talented performers, including Kristen Chenoweth, Idina Menzel, Jonathan Groff, Molly Shannon, Olivia Newton-John and Neil Patrick Harris, who won an Emmy for Outstanding Guest Actor in a Comedy Series for his work on the show. The Last Song is a 2010 American coming of age drama film developed alongside the Nicholas Sparks novel by the same name. The film was directed by Julie Anne Robinson in her feature film directorial debut and co-written by Sparks and Jeff Van Wie. 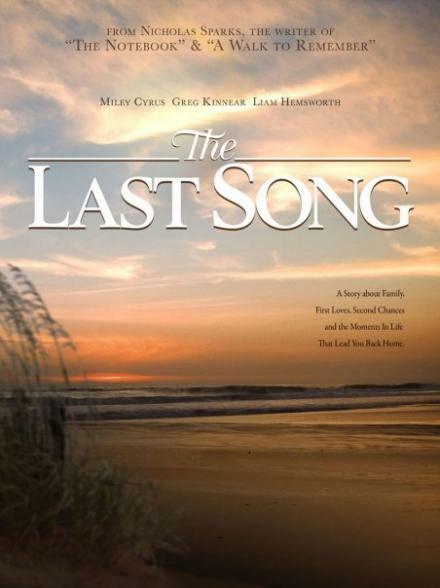 The Last Song stars Miley Cyrus, Liam Hemsworth, and Greg Kinnear and follows a troubled teenager as she reconnects with her estranged father and falls in love during a summer in a quiet Southern United States beach town. The film is distributed by Touchstone Pictures. Sparks was approached to write both the film’s screenplay and the novel. Sparks completed the screenplay in January 2009, prior to the completion of the novel, making The Last Song his first script to be optioned for film. The setting, originally North Carolina like the novel, changed to Georgia after states campaigned for months to host production. Upon beginning production in Tybee Island, Georgia and nearby Savannah, The Last Song became the first movie to be shot and set in Tybee Island. Filming lasted from June 15 to August 18, 2009 with much of it occurring on the island’s beach and pier. The Last Song was originally scheduled for wide release on January 8, 2010,but was postponed to March 31, 2010. Miley Cyrus as Veronica “Ronnie” L. Miller, an angry, rebellious seventeen year old forced to spend a summer with her estranged father. She becomes very angry at the fact that her mother sent her there, in the beginning of the film it is obvious Ronnie has stolen before and her rebellious friend encourages her to steal again, Ronnie learns her lesson and pays for the shirt, later Ronnie’s friends boyfriend tries to hit on Ronnie and her friend becomes angry and jealous. Greg Kinnear as Steve Miller,Ronnie and Jonah’s father and former Juilliard School professor and concert pianist who moved to Georgia after his divorce. During the summer, Steve reconnects with Ronnie through their mutual love of music. With Jonah’s help, Steve also works to reconstruct the centerpiece of the local church, a stained glass window, after the original was destroyed in a fire. Kelly Preston as Kim, Ronnie and Jonah’s mother who raised her children in New York City after her divorce. Liam Hemsworth as Will Blakelee, a popular and skilled beach volleyball player, Will aspires to attend a top university and volunteers at the Georgia Aquarium. He is Ronnie’s love interest. Bobby Coleman as Jonah Miller, Ronnie’s younger brother sent along with his elder sister to Tybee Island. Nick Lashaway as Marcus, Blaze’s abusive boyfriend who breaks up with her because he wants Ronnie which lead him and Will to fight at Megan’s wedding party and the leader of a gang of thugs who hustle money from beach carnival crowds through spectacular fire juggling performances. Carly Chaikin as Blaze, a rebel who befriends Ronnie when she is sent to Georgia. However, Blaze betrays Ronnie when she frames Ronnie for shoplifting a watch. Adam Barnett as Teddy, a young thug adept at hacky sack and juggling, skills he uses as part of Marcus’ crew to hustle money. Nick Searcy as Tom Blakelee, Will’s father. Melissa Ordway as Ashley, Will’s ex-girlfriend. Carrie Malabre as Cassie, Ashley’s best friend who aids Ashley in antagonizing Ronnie. Lance E. Nichols as Pastor Charlie Harris, the kind, devout Pastor of the local church. He was Steve’s first piano teacher, parental figure, and best friend while Steve was growing up. Hallock Beals as Scott, Will’s jealous best friend who tries to create trouble between Will and Ronnie. Stephanie Leigh Schlund as Megan Blakelee, Will’s elder sister who is engaged to be married.